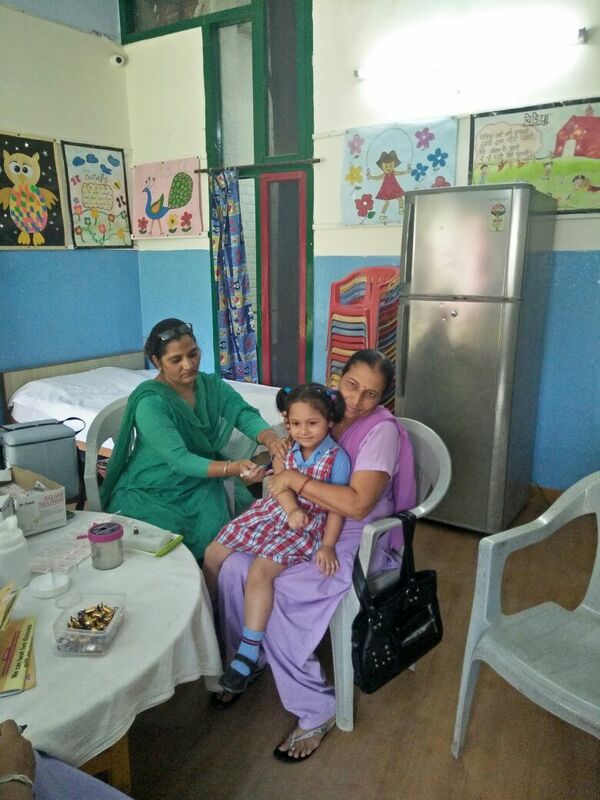 Vaccination drive at Indira Holiday Home School , Sector 24. 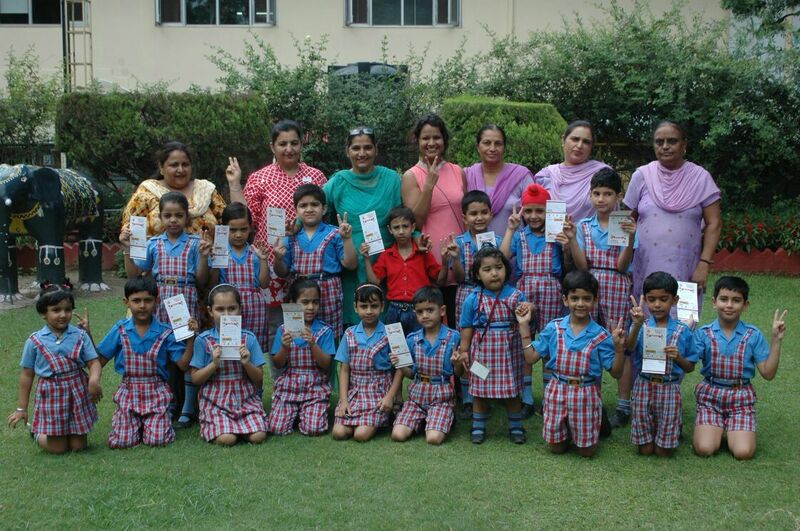 Chandigarh. 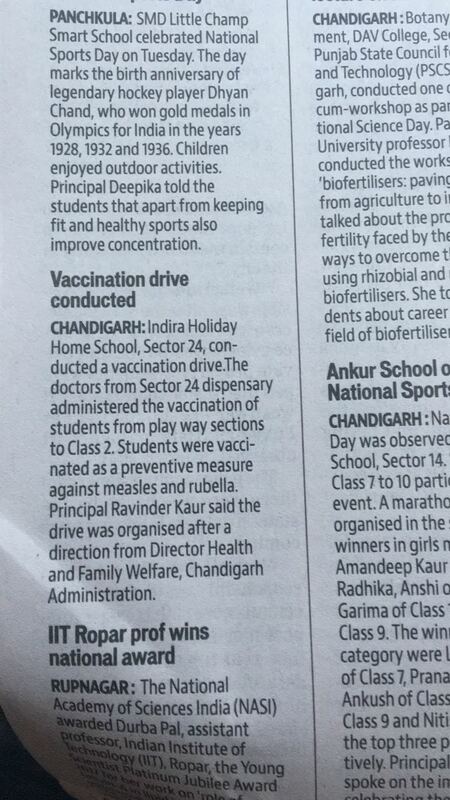 As per the directions of Director Health and Family Welfare Chandigarh Administration, a vaccination drive was under taken at I. H.H. 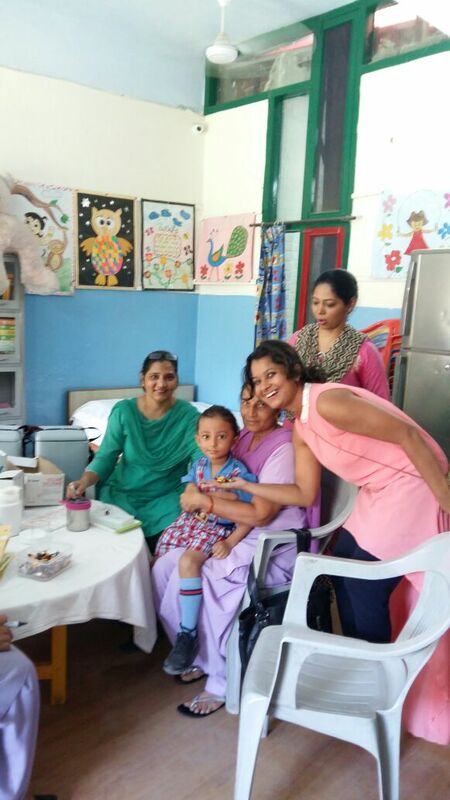 School by a team of doctors from Sector 24 Dispensary. 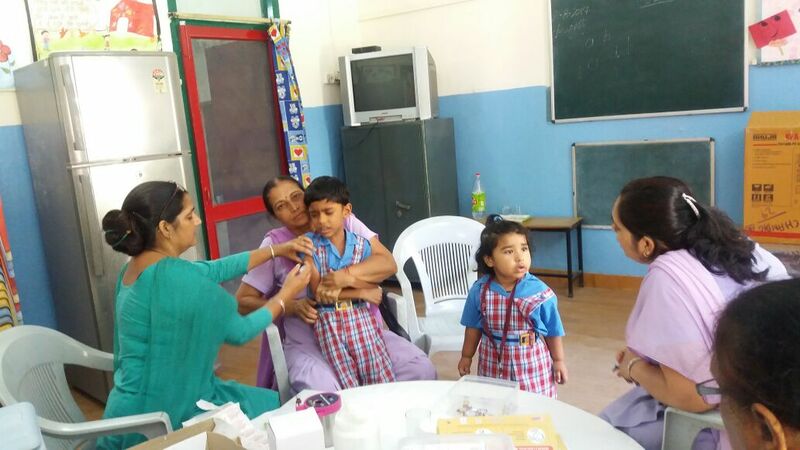 The students from Play way to class 2nd were vaccinated as a preventive measure against Measles and Rubella. 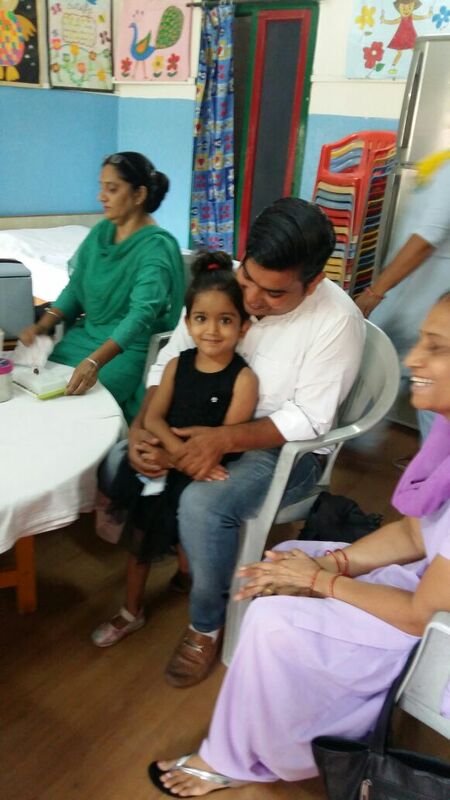 Health Check up of all children was conducted by Dr Kiran from Himalayas. 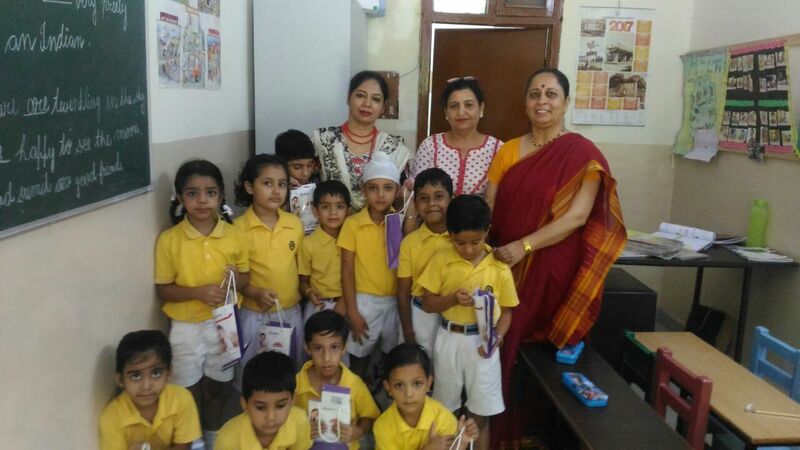 The Tiffins of all children was also checked for Healthy Tiffin and prizes for Healthy Tiffin were distributed. 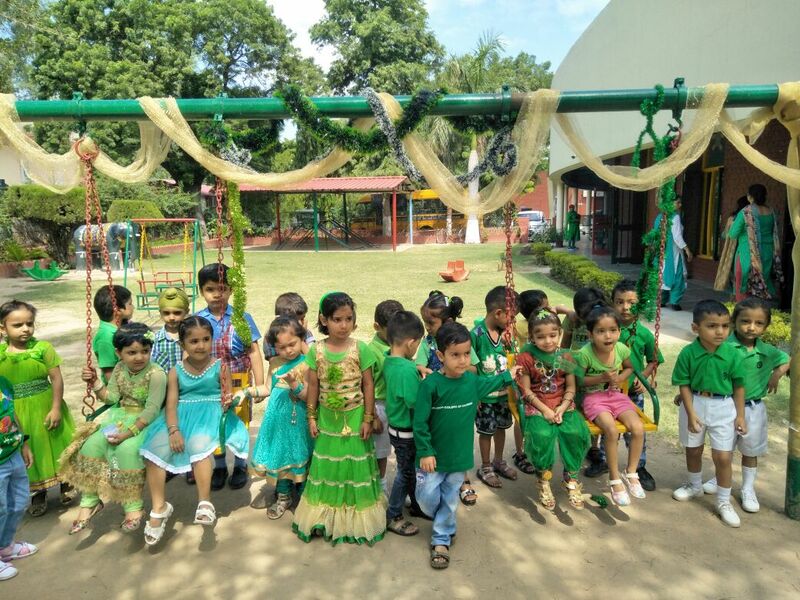 JANAMASHTMI CELEBRATIONS Janamashtmi was celebrated at Indira Holiday Home School, Sector 24 – B, Chandigarh. 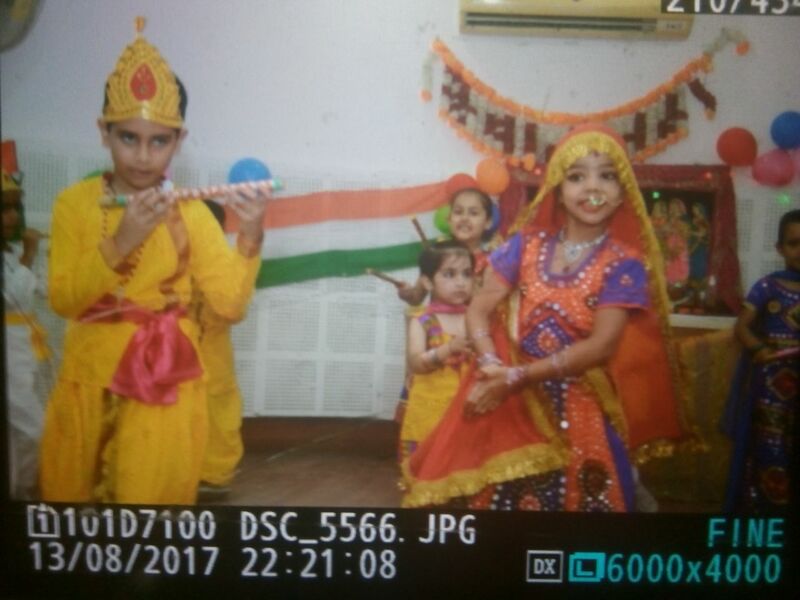 All students from Playway class to class 2nd participated in the celebrations.The childern were dressed as Lord Krishna, Radha & Gopians. 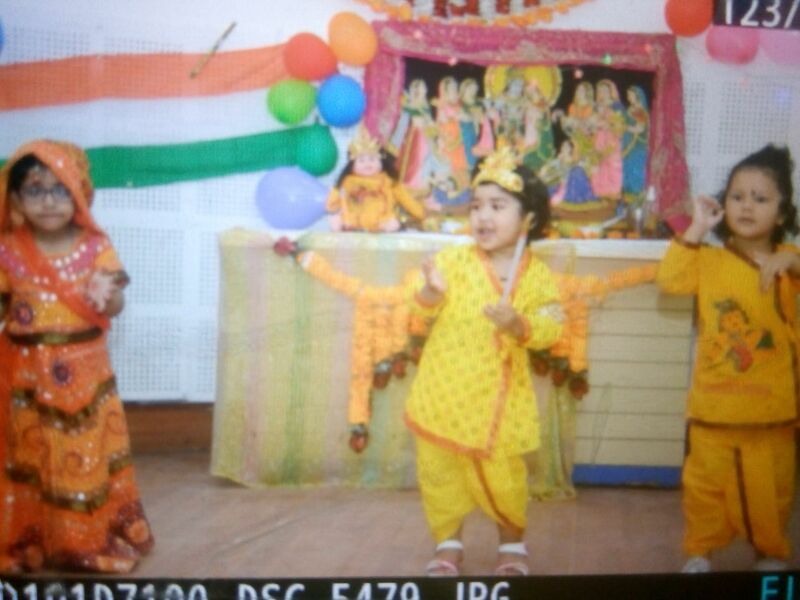 Songs related to Janamashtmi were played on which the children performed. 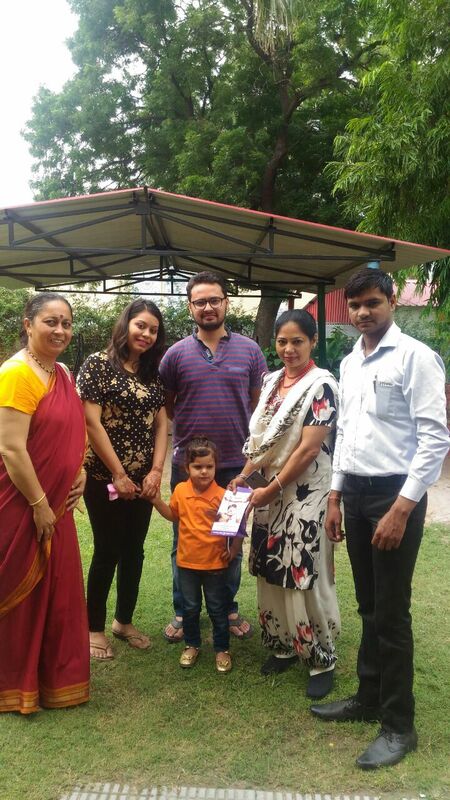 Puja was performed by the staff. 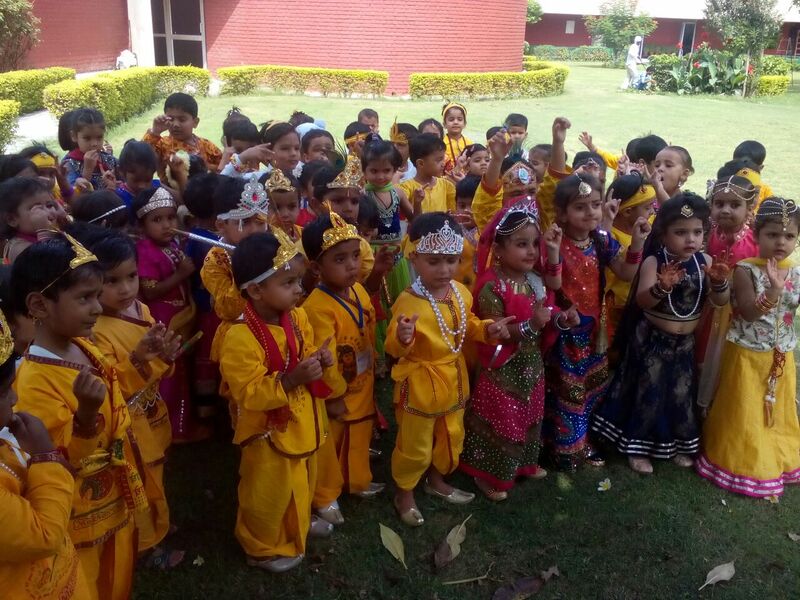 Aarti was recited and the prasad was distributed after the puja. 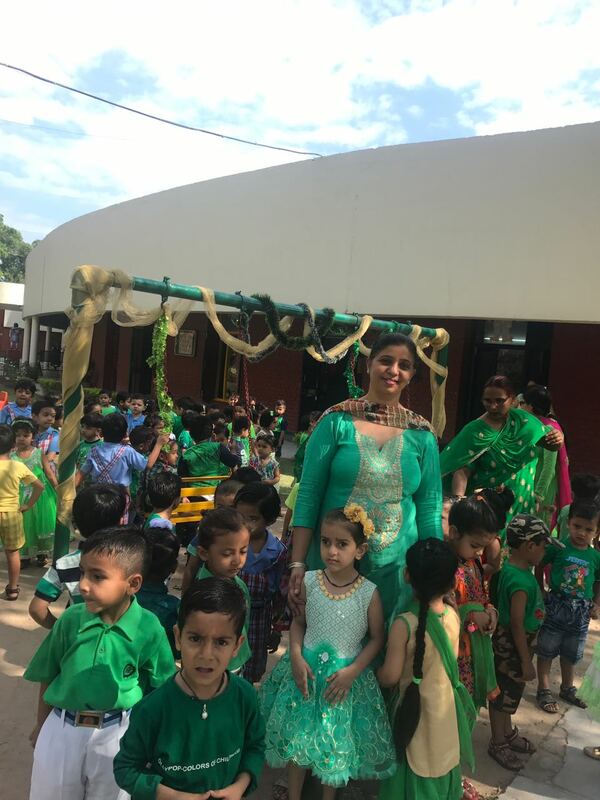 The involvement of the children in the celebrations at such a tender age was worth applauding. 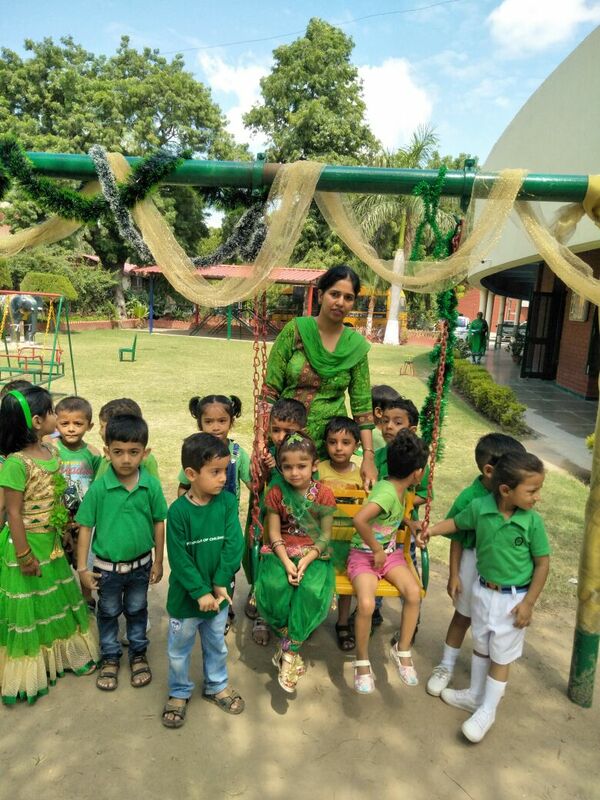 The school principal wished all the children happy Janamashtmi and happy Independence day on this occasion.